It’s no secret that food halls have been popping up all across North America and most recently Canada. Harkening back to the era before traditional supermarkets and fast food, everything old has become new again. We have spent the last decade traveling the world with the specific intent of discovering why this mostly European tradition has grabbed the attention of North Americans. 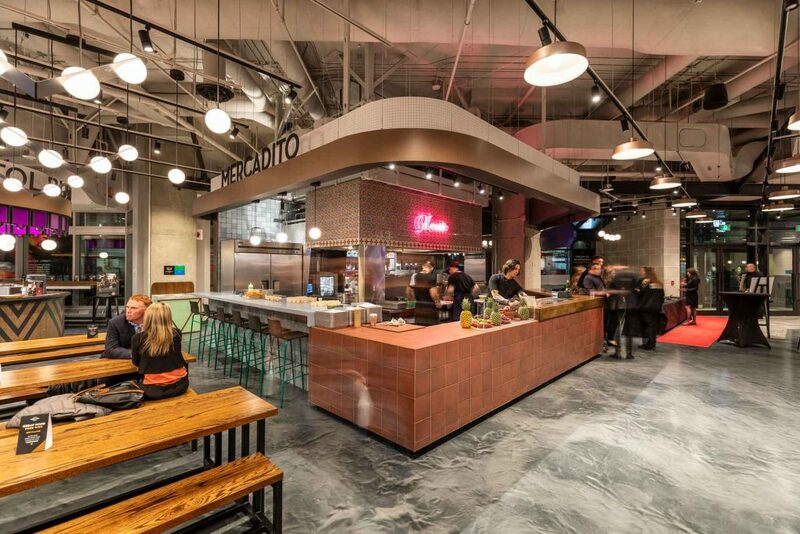 We’ve traveled internationally visiting countless food halls and fresh markets, where we discovered the magic of these communal gathering places. Venues where good, fresh and curated food offerings is king. We’ve met with chefs and foodies, picking their brains to understand why this phenomenon has taken hold so dramatically and transformed the way we eat and socialize. 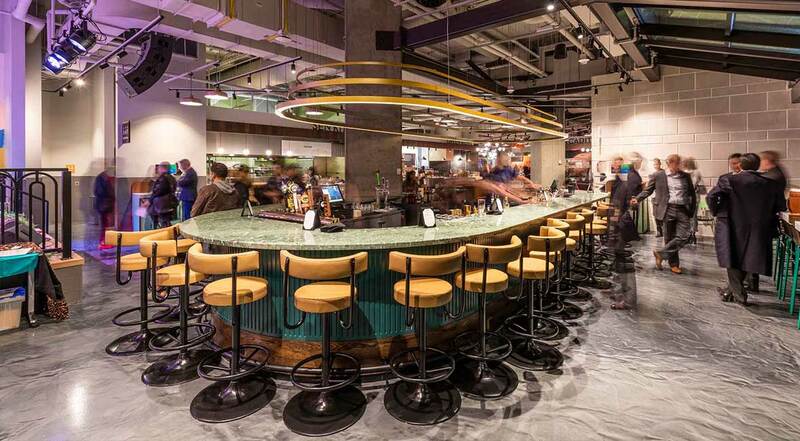 We’ve discovered food halls in all shapes and sizes and grasped the charm when they do work. From Cape Town to London and Zurich, Seville, Lisbon and Madrid,Copenhagen, Amsterdam, Rotterdam and Munich to Berlin, and New York to Los Angeles, and many others in between, we’ve gathered intel, done our research and grazed our way through some of the most unforgettable establishments, all in the name of food. What we’ve found is that they are the result of a creative and curated process….a labour of love, an understanding of people, communities and most importantly a passion for food. They are each unique and customized to fit the market they’re in from the design and aesthetic to the food offering, seating and entertainment. What is for sure, is that ultimately they can redefine their communities, expressing the uniqueness of its people and culture and create vibrant destinations. 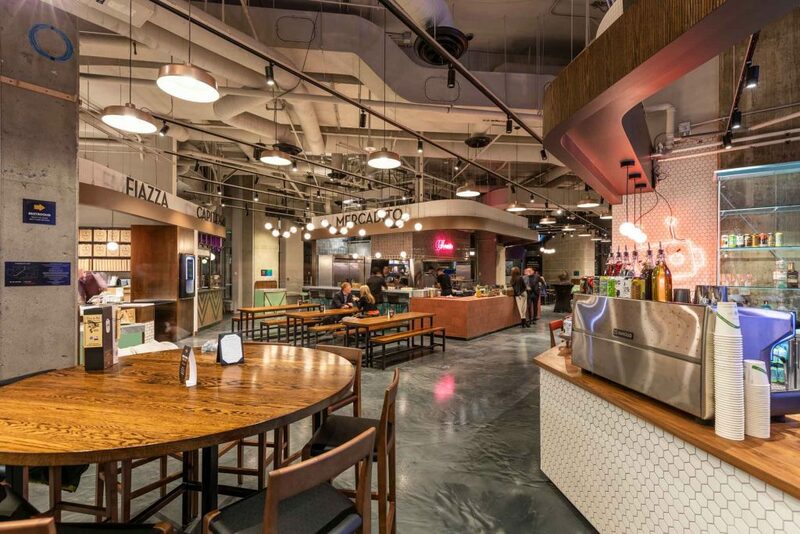 Our team has been involved in conceptualizing food halls across the country for the past 7 years. Fast forward 6 years and finally our first customized food hall, Queen Street Fare, opened its doors in the financial district in downtown Ottawa, on December 7th. Queen Street Fare is 10,000 SF, fully licensed and includes a stage for live music, performances and events. The tenant mix was curated by our development team, led by Taylor Borg executing an independent driven food hall profiling some of the best local operators in the city – Bar Robo, Sen Kitchen, Green Rebel, Capitol Burger, Fiazza Fresh Fired and 2014 Season Winner of Canada’s Top Chef Rene Rodrigues concept Mercadito. 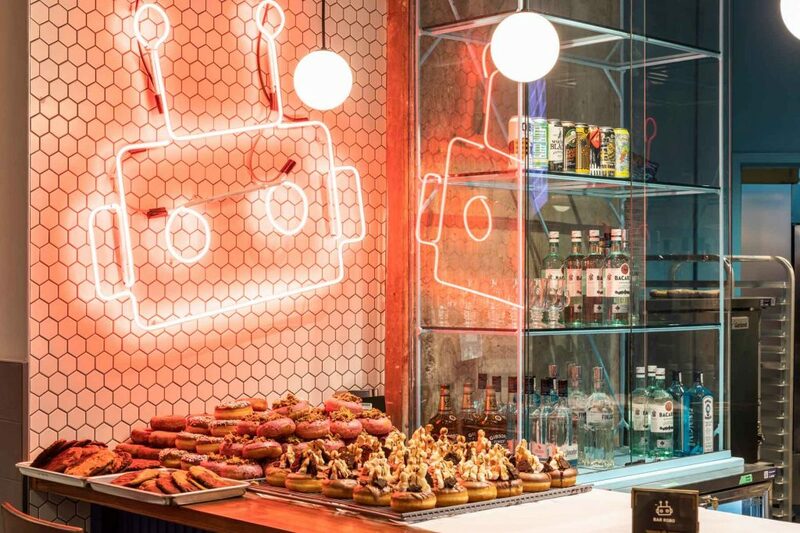 When we first started working with Bentall Kennedy on their development of Sun Life Financial Tower, our initial thought was to introduce a curated food hall, given its strategic location in the financial core of downtown Ottawa. The space was formerly occupied by Hy’s Steakhouse, which was no longer relevant in the space given the evolving customer base and demographics in the financial district. Important and strategic was its location and proximity to the new LRT station (Parliament Station), which arrives directly into the building. Being able to attract different segments, including the resident office population within the immediate area, the tourists and commuters (coming in from the suburbs), was important. We had scoured the city and discovered that there was an amazing pool of talented local operators– each unique in their own right. We started brainstorming with the team and most importantly with the local players. We talked not only about what they did, but more importantly what they could do, which could be different and unique and put a stamp on the building. The potential soon became clear as the discussions, conversations, and jamming sessions progressed and became more intense. The resulting mix came out of this creative process, a process where collaboration and creativity came together perfectly. The idea for the stage and bar was borne out of the collaboration with Bar Robo, where the conversations started with the coffee counter and morphed into a discussion about the lack of venues for events in the city, which is where Bar Robo came in. We had our bar and entertainment component! This we felt was crucial to bringing life to the building not only Monday to Friday, 9 am to 5 pm but extending the hours into the evening and weekends as well. The process was organic and fluid, one of discovery not only of what existed in the city but what could be created by tapping into the local talent. 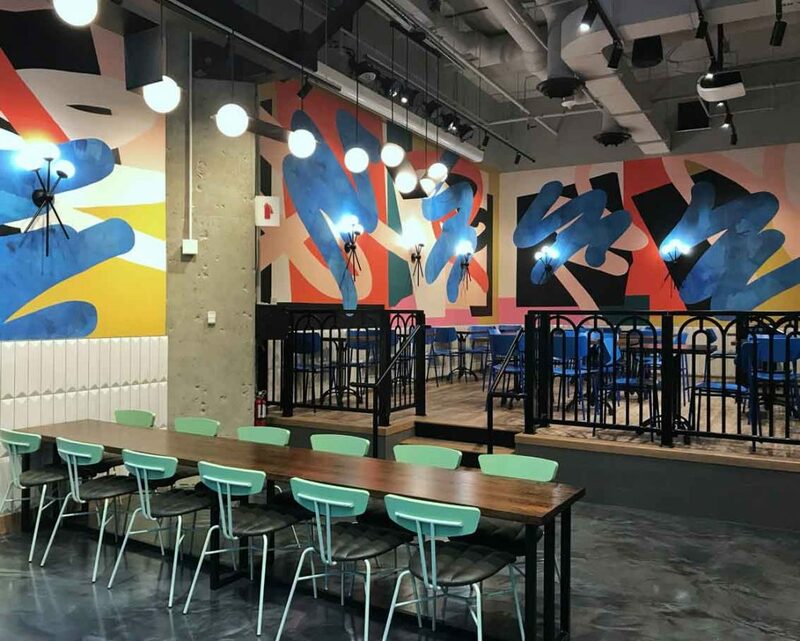 We were fortunate enough to be engaged in a process which included collaboration with the landlord, management team, designers and tenants to bring our idea to life. Thank you and a big shout out to all who believed, participated, collaborated and helped us execute! See you at Queen St. Fare! As the exclusive retail consulting and leasing team on Union Station, Beauleigh conceptualized the vision, created the blueprint and is now executing that retail vision for the revitalization of this iconic and historical landmark. The goal is to curate a unique destination with the best retail, service and restaurant operators in the city of Toronto.